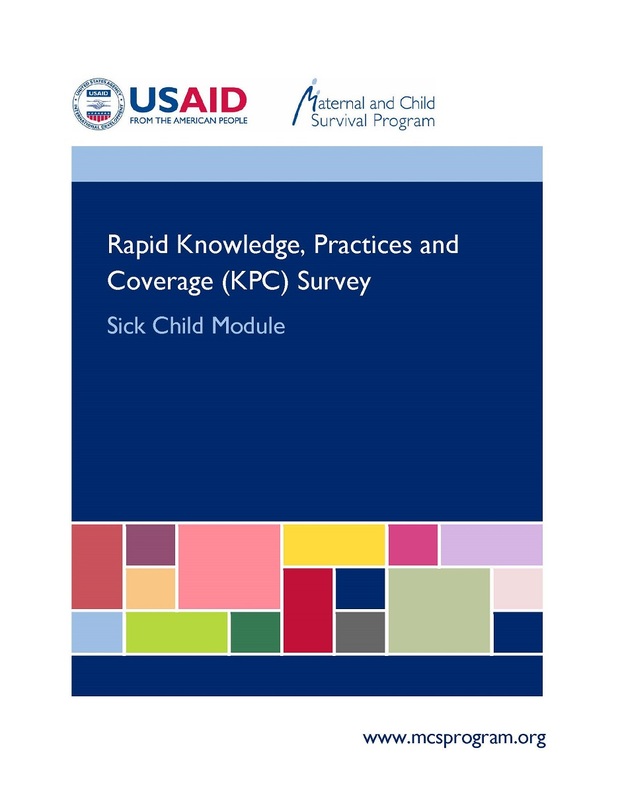 The KPC is a planning, monitoring and evaluation tool designed to help implementers of integrated maternal and child survival programs understand the health situation at a local level (such as a district or region) and measure progress toward program objectives. It can be used to assess whether intervention coverage varies across different vulnerable groups, and information with it provides an important input for decision making. Each module contains questionnaires, indicators, tabulation plans and instructions. By selecting information from them, surveys can be customized to technical areas of a specific program. For more information on implementing KPC surveys, consult the Rapid Household Survey Handbook (in both English and Spanish).